My roommate and I recently completed the Challenge Nation, Boston edition! 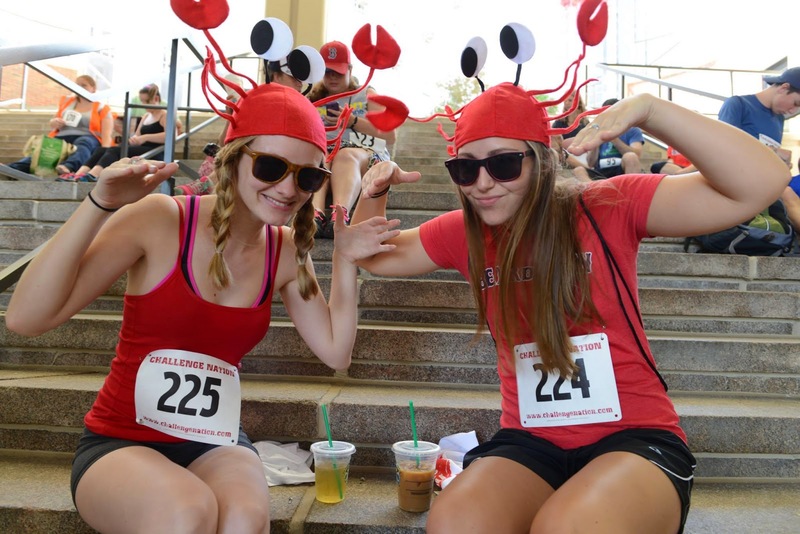 Challenge Nation is a super fun combination of a 5k, costume contest (we went as the Lobstah Ladies), and scavenger hunt. So you’re basically getting a great workout while having tons of fun, solving puzzles, and getting to know your city better (not to mention the free t-shirt)! It all began at The Kinsale, a large Irish pub and restaurant in the heart of downtown Boston. Getting ready for the countdown! This fountain in Columbus Park was just one of 12 tricky riddles we had to solve and run to. The rules state that we had to complete 11 of the 12 riddles in 3 hours! Each riddle brought you to a location in downtown Boston, where you had to take a picture and show them all to the Challenge Nation staff at the end of the race. Other riddles included taking a picture from over 200 feet up, and finding a $2 bill! We completed 11 of the 12 riddles with 30 minutes to spare! The race ended where it began: The Kinsale. And we were starving by this point! I ordered this burger with avocado and fries to fuel up. At the time it was the most delicious burger I’d ever had, but I can’t give an unbiased opinion since we were so hungry from the 5k! 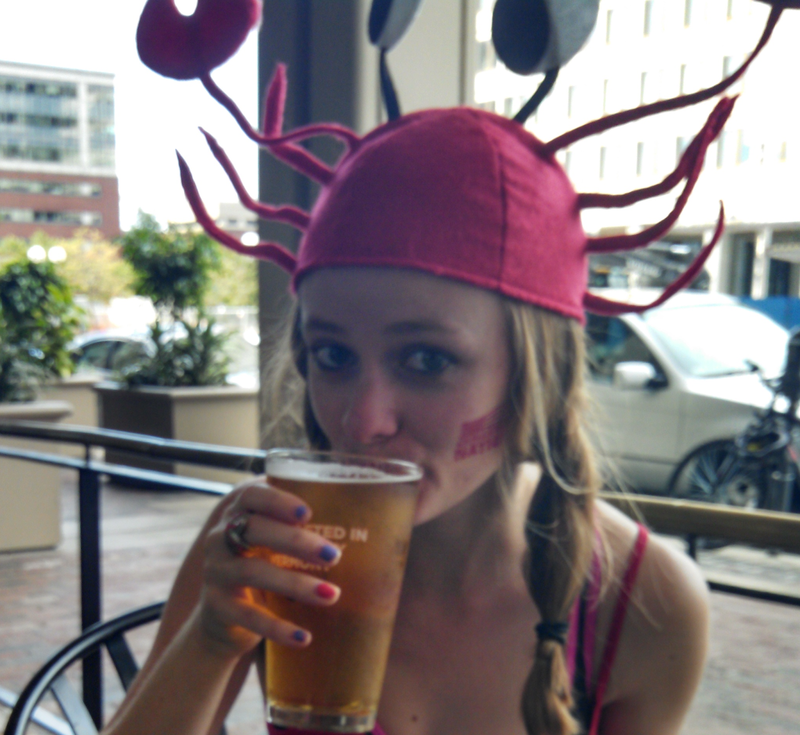 I also ordered a Summer Victory Beer to commemorate our completion of the race! Previous Post Boston Seafood Festival: Fishing for Good Eats!